For decades, Hollywood screenwriters have tried to capture, on film, the end of the world. I haven’t seen every apocalypse movie that’s out there, nor do I want to. (There must be explosions! Lots and lots of explosions!) But this summer, I caught two end-of-the-world movies that felt understated and a bit different. I’ve been a fan of Danish director Lars von Trier since 2000, when my love for Björk led me to see von Trier’s stark musical Dancer in the Dark in the theater. That movie bowled me over with its unconventional style, which communicated a heartbreaking bleakness that I’ve seldom seen on screen. 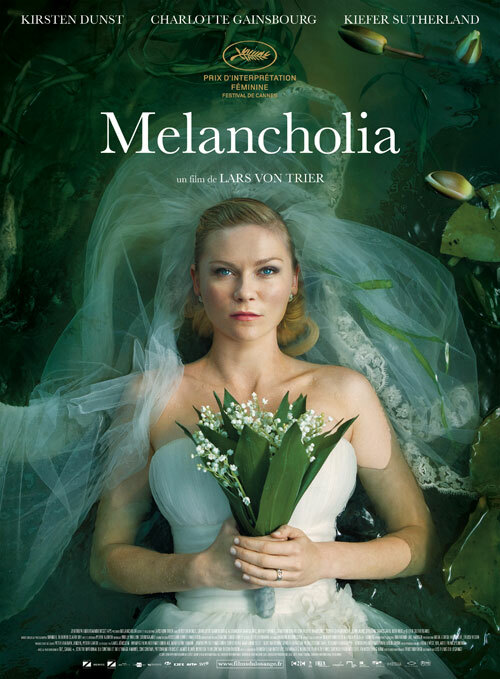 In von Trier’s latest film, “Melancholia,” he operates in a similarly unconventional style throughout. The movie, which opens with a long and beguiling slow-motion sequence, tackles the idea that depressed people react more calmly to stress and catastrophe than those who are, on the surface, more well adjusted. “Melancholia” tells the story of two sisters: The movie’s first half takes place during one sister’s wedding, and the second half takes place shortly afterward, as the Earth is about to collide with another planet. Kirsten Dunst and Charlotte Gainsbourg play the sisters with sharp contrast. Dunst delivers her finest performance since her role in “The Virgin Suicides,” showing both the snarling ugliness and the calm clarity of depression. Gainsbourg, who I previously knew best from her music collaboration with Beck, provides the perfect foil, showing fearful doubt and fidgety uncertainty. The sisters, alone except for a few other family members at a private estate, experience the end of the world largely in quiet and isolation, a filmmaking move by von Trier that lends a progressively creepy and heavy feeling to the movie’s breathtaking conclusion. 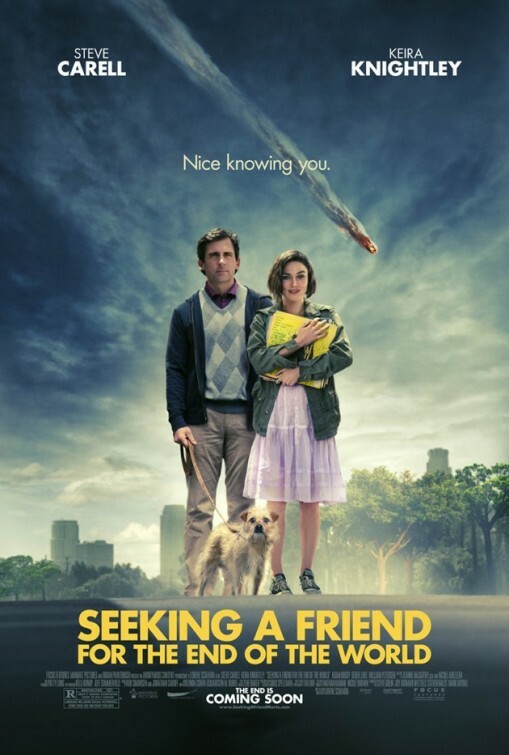 A couple weeks later, I saw an apocalypse movie of another kind: “Seeking a Friend for the End of the World,” which is actually a romantic comedy, if you can believe it. The movie is directed by Lorene Scafaria, a young filmmaker who so far likes to make boy-meets-girl flicks for the semi-indie crowd. After seeing “Melancholia,” I didn’t expect much from a rom-com that starred Steve Carell and Keira Knightley as neighbors brought together in an unlikely end-of-the-world love relationship. But even though “Seeking a Friend” was pretty glossy Hollywood and the writing was a bit generic at a few points, it had many sweet and funny moments. Ultimately, I thought the heart of the movie was really ambitious and well done. The film got me thinking about Steve Carell, who is best known for his TV role as a bumbling boss in “The Office,” and who has starred in a number of Hollywood hits in the past decade. Carell plays the lead role in many of his films as an aww-shucks everyman that we can’t help but love despite his tics. There are definitely elements of this typecast that follow him throughout “Seeking a Friend,” as Scafaria’s script sometimes veers toward the predictable. So, to use von Trier’s binary, Carell shows just enough sadness and just enough strength to elevate his performance to something special. His character is named “Dodge” for a reason, and of course you can’t dodge the apocalypse in the end.